To determine where you are going. 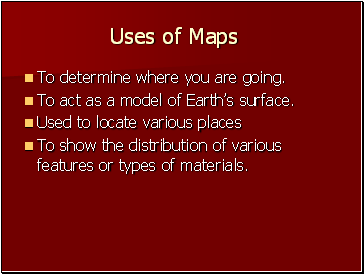 To act as a model of Earth’s surface. 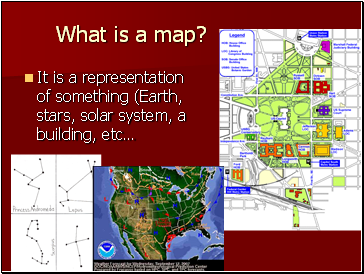 To show the distribution of various features or types of materials. 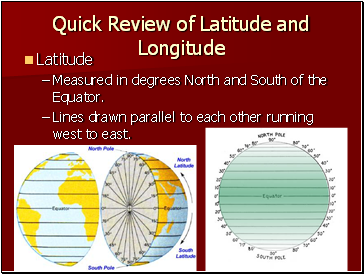 Measured in degrees North and South of the Equator. Lines drawn parallel to each other running west to east. 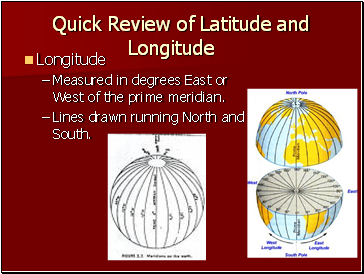 Measured in degrees East or West of the prime meridian. Lines drawn running North and South. 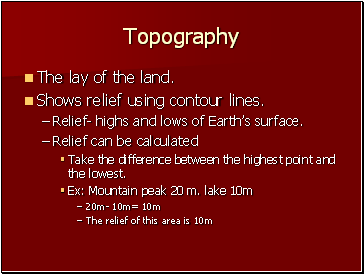 Shows relief using contour lines. Relief- highs and lows of Earth’s surface. Take the difference between the highest point and the lowest. Connect points of equal elevation. Everything connected to that line has the same elevation. Elevation- the distance something is above sea level. Sea level= 0m or 0ft. 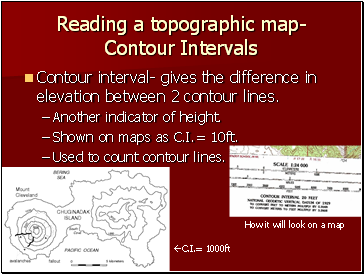 Contour interval- gives the difference in elevation between 2 contour lines. Shown on maps as C.I.= 10ft. Used to count contour lines. 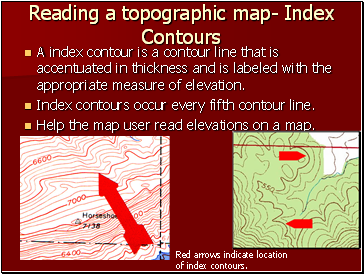 A index contour is a contour line that is accentuated in thickness and is labeled with the appropriate measure of elevation. 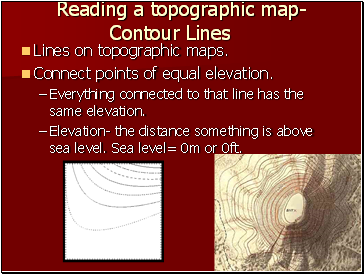 Index contours occur every fifth contour line. 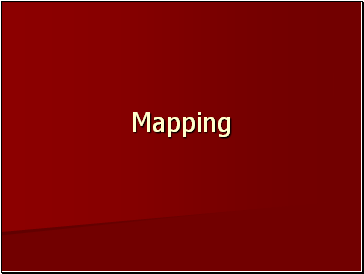 Help the map user read elevations on a map. Red arrows indicate location of index contours. 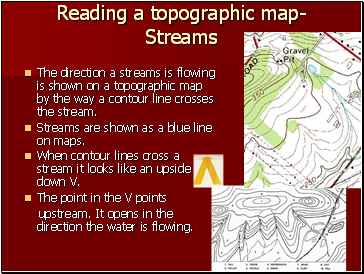 The direction a streams is flowing is shown on a topographic map by the way a contour line crosses the stream.